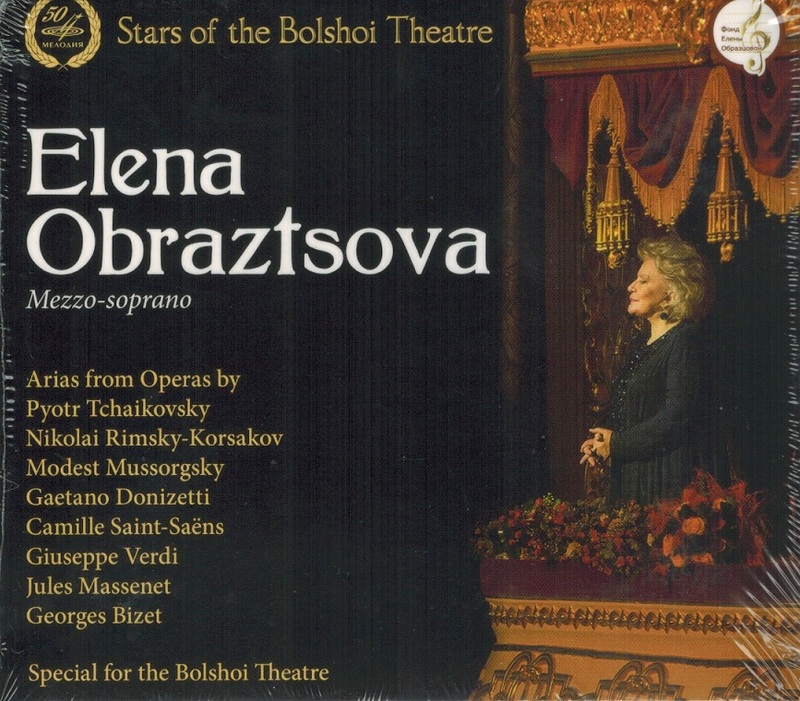 “While still a student Elena Obraztsova made her début in 1963 at the Bolshoi Theatre in the role of Marina in Mussorgsky’s BORIS GODUNOV. In 1973-94, she taught at the Moscow State Conservatoire. Now she teaches at the Musashino Academy of Music in Tokyo, gives master classes in Europe and Japan. In 1986, she made her début as stage director at the Bolshoi Theatre (WERTHER). 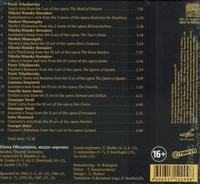 In 1999, she established in St Petersburg the International Competition of Young Vocalists. 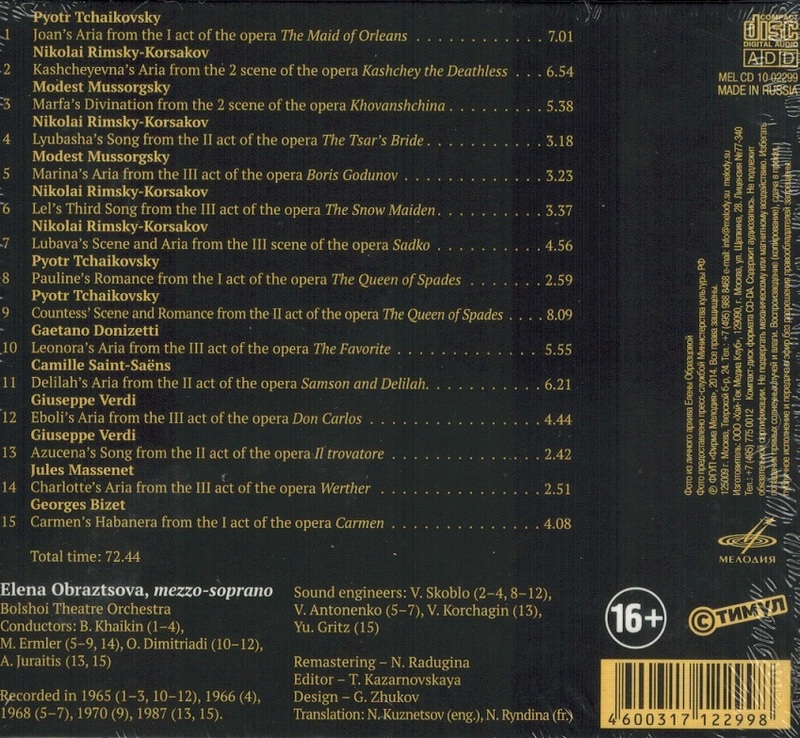 In 2007-2008, she was Artistic Director of the Mikhailovsky Opera Company. Since 2008, Ms Obraztsova has held the post of Artistic Advisor to the Mikhailovsky Opera. She has performed under the most prominent opera and symphony orchestra conductors, including Herbert von Karajan, Riccardo Muti, Lorin Maazel, Claudio Abbado, Giuseppe Sinopoli, James Levine, Daniel Barenboim, Evgeny Svetlanov, Yury Temirkanov, Gennady Rozhdestvensky, Valery Gergiev, Vladimir Fedoseyev, and among many others. Her repertory includes more than 30 roles in the operas by Tchaikovsky, Prokofiev, Verdi, Britten, Rimsky-Korsakov, Borodin, Mussorgsky, Verdi, Bizet, and Stravinsky. She starred in many music films and the production by Victor Viktyuk ANTONIO VON ELBA.